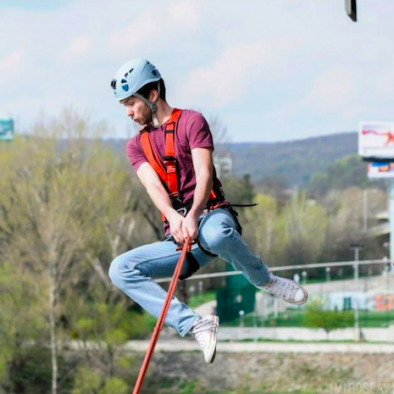 Enjoy Bratislava – Crazy activities for stag dos, teambuildings and city breaks in Bratislava. The right place for stag parties, city breaks and teambuildings. According to TripAdvisor's reviews, Enjoy-Bratislava is the best stag party travel agency in Slovakia. Our clients praise our organization skills, professional planning, easy communication, affordable prices and friendly staff. Last but not least, we are really proud to offer some unique activities like sleeping in the forest or kayaking down the Danube river. We have organized teambuildings for small-sized international teams as well as big corporate companies like Hungarian Telekom (150 people). Our services include a long list of activities, transportation, accommodation, catering and organization services. "Enjoy-Bratislava team was very easy to deal with and they give you as much information as you require prior to booking anything. There were 14 of us and we ended up booking two activities, Airsoft with SWAT car which was brilliant fun and a lot better than it's described on the site in a really cool warehouse, as well as the Little Danube canoe/kayak experience with a Slovak BBQ to follow. I would highly recommend this experience as it's perfect for the daytime when everyone is hungover. It also gets you out of Bratislava which is quite a small place and allows you to cruise down a river for a couple of hours before pulling in for beers and food, certainly a laugh for a large stag group. All in all, Enjoy Bratislava were perfect for what we were looking for and Ralph and Michaela provide excellent service."